You can never predict how an event like ISPO Munich 2018 might change the path of your career. Visitor's of the professional fair know how it is a platform to establish strong contacts and if you're persistent enough, even end up with an employment offer. 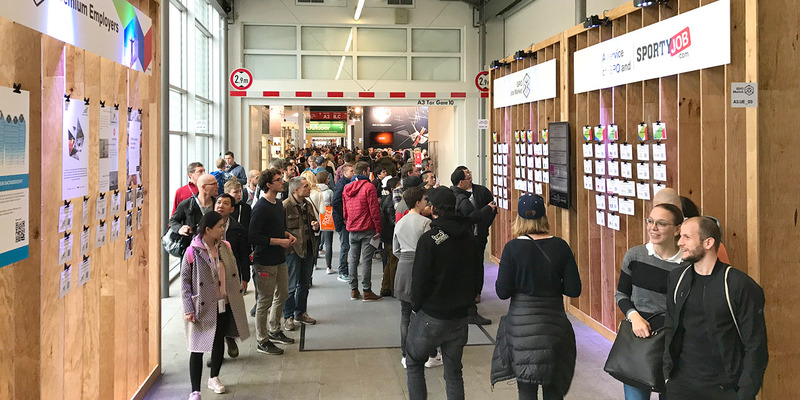 However, this year's ISPO Munich offered a direct approach of connecting companies and talents.By simply using the halls walls to place attractive job offers from the european sports industry, the digital ISPO Job Market had its own "booth" at the trade fair. And probably one of the most seen. Since tracking all passers-by would have been impossible in a transitional space, we are trusting our guts that the international job offers, company and university profiles have been passed by most of all visitors. In the 4 days between the 28th and 31st of January, 84.000 visitors from 120 countries visited the trade, noticibly increasing the internationality of the event. 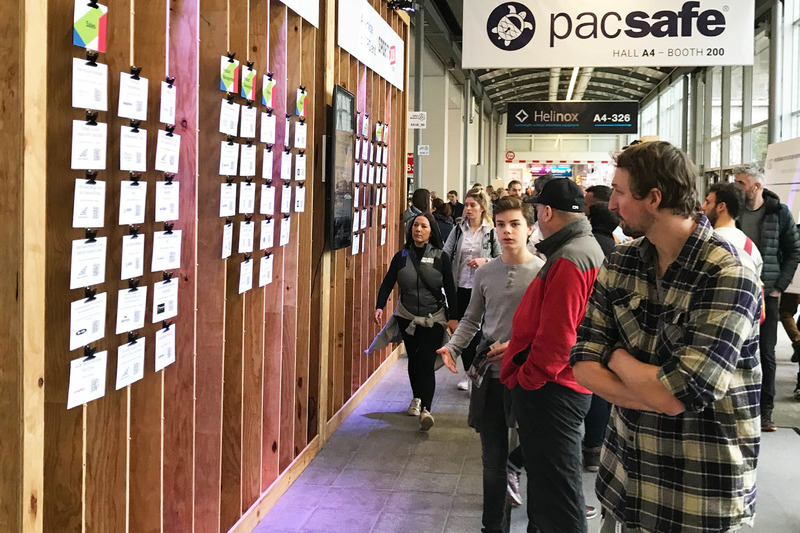 After all, they had a lot to see: 2.801 exhibitors showcased the new trends from wintersports, outdoor, fitness and more. Additionally, the Job Corridor from ISPO Job Market and Sportyjob presented them opportunities for a new career right in between. Visitor's could learn about international employer's of the sports business and their most recent job opportunities, as well as about the sport related study programs of universities and schools from Cologne to Oregon. Expanding the limits of a printed medium, all poster's have been combined with a QR code that linked to the digital job board ISPO Job Market. This way, career interested could find out more about a job offer or even look for other possibilities. A service that lead to around 16.000 unique views of the different pages. 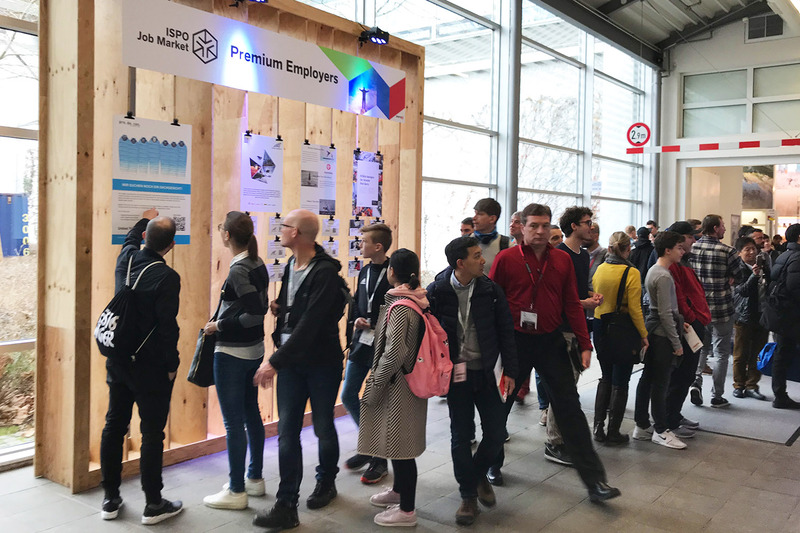 More than informing about careers, the ISPO Munich 2018 allowed us to take a peek at the development of recruitment in the sports industry in 2018.Marketing is still on the rise in employment - a trend which can also be found outside of the sports business. With around 1/3 of offers on the Job Wall being from the creative department, the need & importance of marketing (teams) for modern companies shows. Luckily, this seems to be a mutual development as interested visitors chose to read more about these offers as well.The other way to gather more interest and candidates is exceptionality. 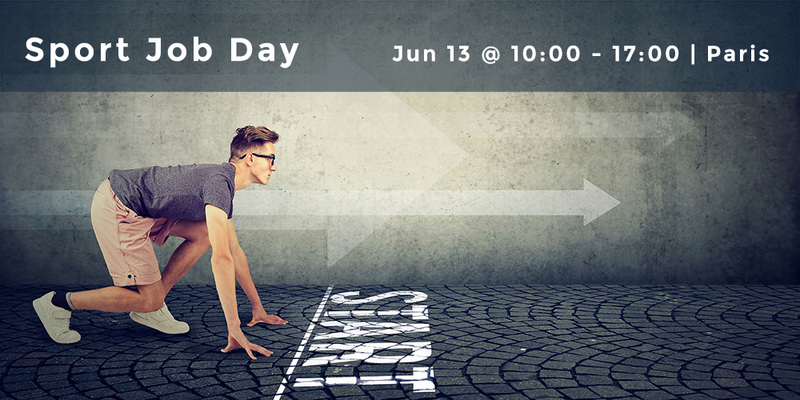 Even in a professional segment like recruitment, employers need to stand out to impress. No suprise that the ad from german sleeping bag manufacteurer prodecon caught a lot of attention. "Wir suchen noch ein Sackgesicht!" which translates as "We are looking for another d**kface" (in german, "Sackgesicht" would literally be "bag face") made people stop, laugh and in the end actually re-open the ad on their phones and computers back home. Proving once more that classical recruitment needs a refreshment in 2018, with classical job profiles taking a back seat. By the way: About the ISPO Job Market “ISPO has always been instrumental in starting successful careers and placing candidates in exciting jobs” The quote from Tobias Gröber, Head of ISPO Group, is nowadays more true than ever. The biggest network in the sports industry always connected professionals with exciting brands – and naturally every now and then these lead to a job proposal. 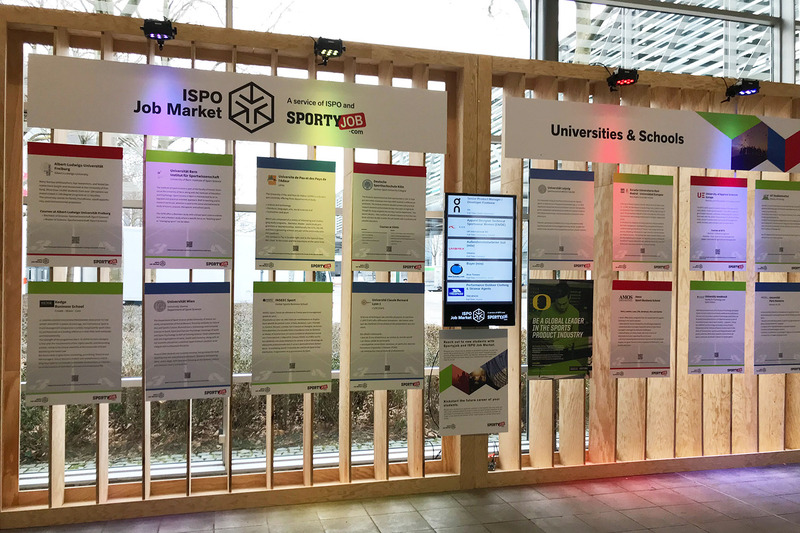 In 2016, however, ISPO decided to actively connect employers and talents: They partnered up with Sportyjob to enhance their wide portfolio with a career service. The created career portal, ISPO Job Market, lists jobs from about 220 companies and is used by around 26.000 candidates. While the online market is growing and growing, stationary stores often need to fight to stay alive. The new concept stores of Salomon, however, are not only survivors, but evolutionary winners. Instead of relying on pure Sales, the Concept Store focuses on creating a digital play and home zone for customers and employees alike, merging the boundaries between online and offline shopping. Their next store in Paris will open in only a couple of weeks, bringing the new concept to France. For this, Salomon is hiring 5 Sales Associates, a position which involves more than the name gives away. Salomon refreshes retail with an innovative step: Their stores are fully digitized, seamlessly connecting online and offline. Hard selling takes a big step back and opens the stage for an emotional in-store encountering instead. It’s a destination to get informed, feel and become a part of a community - gather, share, progress, play, live. With sales being secondary, customers can inform themselves in details about their sport’s gear. Information they’d normally gather online are available on digital screens, further deepened by the professional knowledge of the schooled sales associates - the advantages of both channels combined.With big TV screens playing running, hiking and winter sports clips, boot fitting areas and product showcases, store visitors and sales consultants have the chance to connect and interact. All the time immersed in the french alps. 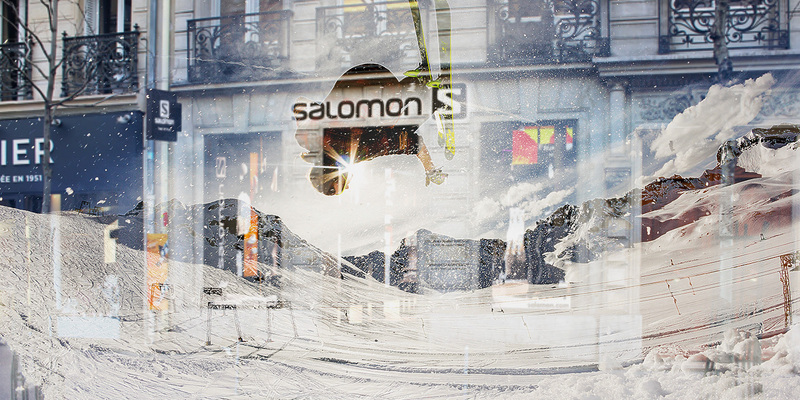 With the upcoming store opening in Paris, Salomon is offering a big opportunity to join their brand and explore the new concept: „We are building a strong team with different profiles and expertise (VM, MKG, Digital, Operations, Footwear). We are currently recruiting 5 sales associates willing to jump into this exiting project.” (Michael, Store Manager)Each of the positions itself is unique: As the store is separated into different sport’s destinations, every future talent is trained in a different field. 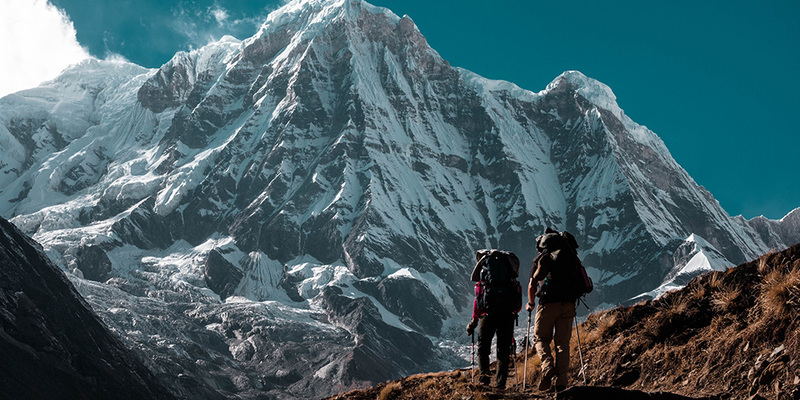 Your passion evolves your career path in either (trail) running, outdoor or winter sports. This passion is also what expands the limits of your position to more than a job: You’ll be an Ambassador of the sports and Salomon’s maxim „Time to play“. It’s your connection to a sports loving community, to become a part of and interact with. 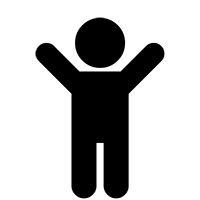 The brand is one of the world’s leading creators of mountain gear. Honoring their roots, the headquarter is located in Annecy, in the French Alps, where they were founded in 1947 by Francois Salomon. Being the inventor of the modern ski binding, up until day Salomon is forerunner in the innovation of winter sports products. 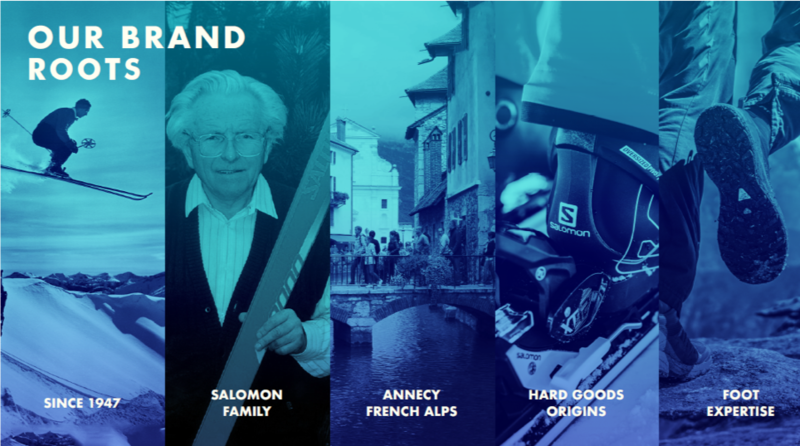 Since 2005, Salomon is a part of the finnish sporting goods group Amer Sports which is a sporting goods company with internationally recognised brands including Salomon, Wilson, Atomic, Arc’teryx, Mavic, Suunto and Precor. The company’s technically-advanced sports equipment, footwear and apparel improve performance and increase the enjoyment of sports and outdoor activitiesSelling their products through own concept stores, factory outlets and online shops , their sporting goods are available in 34 countries. 2016 Amer Sports employed more than 8.500 people throughout the whole world, about 3.200 of them in Europe. On this Saturday, more than a 150 applicants visited the first Jobathlon in Bordeaux-Mérignac, France. 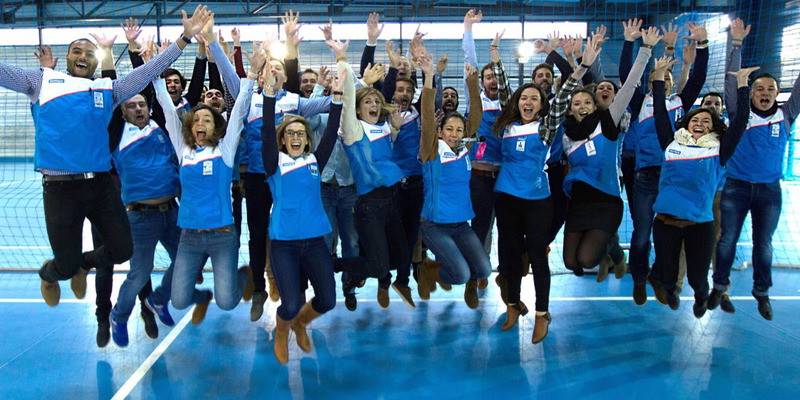 The innovative recruitment event from Decathlon and Sportyjob is the start to a whole series in France: Instead of going through the regular application process, participants have the chance to get a job in a sporty-playful way. In the Decathlon Store in Bordeaux-Mérignac candidates took part in dynamic half-day workshops about teamwork and reflexion. Similar to an assessment center, the workshops should give insights into a candidate's personality. "The Jobathlon is an unique opportunity to explore the best of an applicant and their traits", says Stéphane Jansonne, CEO of Sportyjob. Hence, passion, engagement and teamwork sideline a CV, qualifications and references. "The most important reference is sports! ", underlines Romain Gravigny, head of the Decathlon Store in La Rochelle.The games, for example with a Kin-Ball, were combined with 30 minute interviews, giving candidates and recruiters the chance to get to know each other on a direct level. Our Sportyjob year 2017 in words & numbers – happy new year! 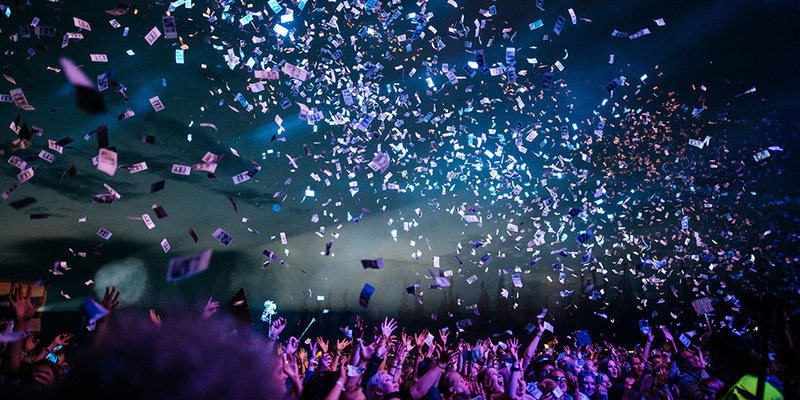 With new year's eve being only a couple of hours away, we can't help but look back on the last year. To say the least, it's been a year. For us, 2017 was about going forward. Just like our candidates who worked the year on advancing their careers, we wanted to bring Sportyjob to a new level. And without any romanticisation, for ourselves, we can say that we succeeded.So, what's been our biggest moments 2017? 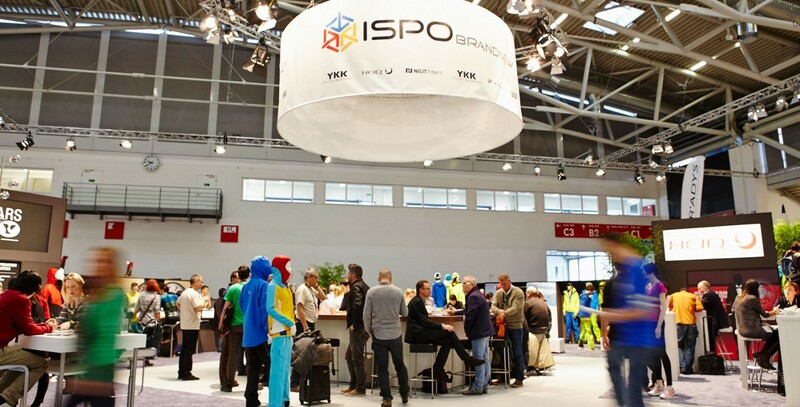 It's just one month to go until we celebrate our coopertion with ISPO Munich once more. Which means: It's been almost a year since the last Career Day happened. Our approach to bring the online job board to the most important sport's fair in europe was very exciting for us, the companies and candidates. Speed Dating Interviews, job offers on the go on the Job wall and a lot of links between companies and visitors - what an event! But we have to admit, it went great: “Every company hired at least one person after or during the show in 2017 - which is great news!”, says Andy (one of our CEOs if you didn't know yet). That's right: Sports companies listed round 1500 sport jobs in our job board this year - that's been plenty of opportunities for a career change. Especially, candidates looking for a sport job in Marketing, Management and Retail have been lucky - they have been listed the most! In 2017, we have been connecting Sportyjob with 500 hiring companies - to give you the best chances for a career bost. Even though not every business published an ad, all of them have been browsing your CVs and opened up for intiative applications by Sportyjob Candidates. We have to admit: We already launched our new website at the end of 2016. But: 2017 was about the fine tuning for you, working on the website, the usability and all these things that happen hidden for the users in our Sportyjob back-end. We also brought our blog back from retirement - which has been asleep since 2014 - to deliver you fresh news and insights.Our highlight though was bringing the job search to your mobile phone by launching our Sportyjob App, hoping to make it even easier for you to find a new career. Even we were hiring in 2017! With more and more collaborating sports companies and Lennart and Andy being integrated in other projects as well, we needed more helping hands. Since the sports industry stopped being a man-dominated field years ago, it was time for some female touch: In February, we welcomed Claudia (that's me! :)) to the team to help us with our Social Media & Blogs. 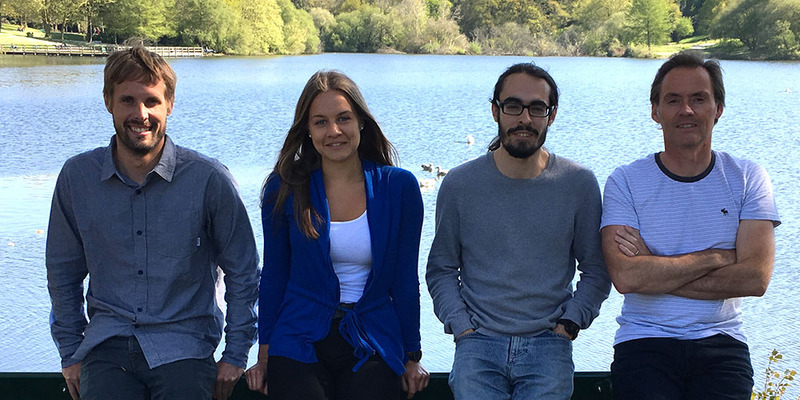 And in April, we were happy to recruite our youngest team member, our lovely Linda, who first started as an intern and is now supporting our Sales.Now, at the end of the year, our family grew even more. Our newest colleague, Stephane, will introduce himself in our blog soon. Until then, meet 2/3 of our team - hello guys! Let's have a little sneak peak in 2018, shall we?An eventful start is ahead of us: In less than two weeks, Decathlon and Sportyjob launch the Jobathlon in Merginac, France, followed by the ISPO Career Day 2018 at the end of January, expanding our online job board to life recruiting!We are also looking forward to even more job chances for you: Two of the greatest sports groups of Europe have signed up with us for 2018, contributing their free positions every day in 2018: Amer Sports and VF Corporation.Doesn't ring a bell for you? Amer Sports is best known for its brands Salomon, Wilson, Atomic, Arc’teryx, Mavic, Suunto and Precor, but has even more to offer. The VF Corporation is recognised for its brands Vans, Timberland, The North Face, Reef and more.That's two of the biggest employers of the sports industry - just saying. To make long story short, there's just one more thing for us to do this year (apart from celebrating later by). We want to say thank you - for trusting us with your career paths and using our job board in the last year. Cheers! Probably everyone has been or will be rejected for a job once in their lifetime. The main reason is because of lacking experience or another more suited candidate. Well, this is not the time to give up! 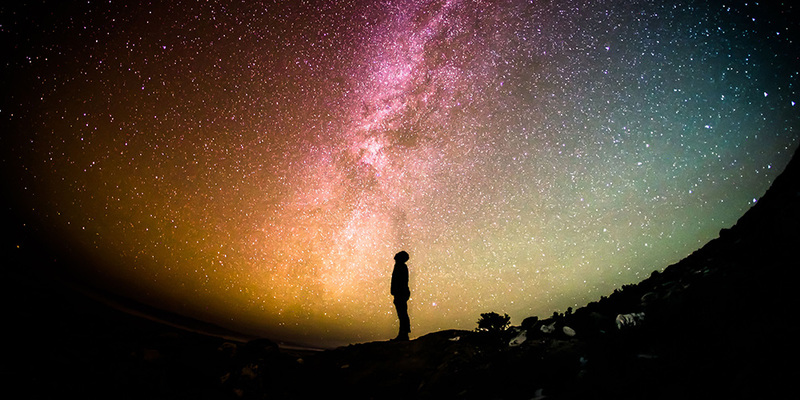 If you want your dream career and stick out between plenty of applications, you sometimes have to think outside of the box. You probably expect the regular advice like „use your connections“, „learn some extraordinary skills“, „spice up your application“ - well, no, we are done with this unsuccessful gibberish tips! 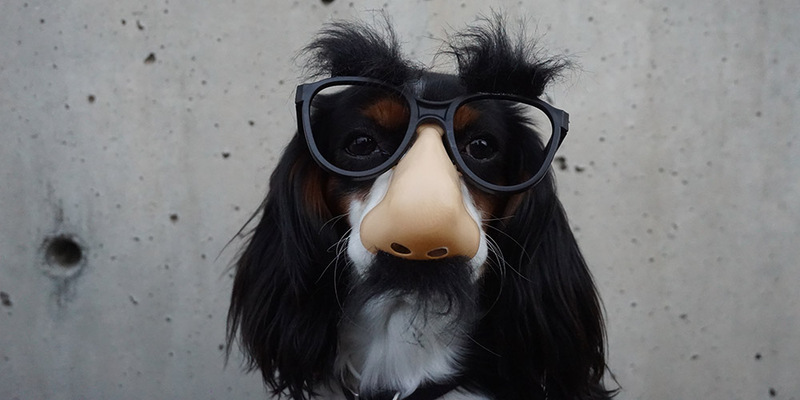 Now, it’s time for some unusual (unethical) ways to gain your dream career. Even though we all watched Robin Williams become a lovely older lady to see his kids after divorce, almost no one understood the true message of this marvelous movie. You probably naively believed this made-up story about separation and its effects on the family, too. Well, you’ve been fooled for years! In reality, it addresses a great way how to get the job you really want: with a petite (enormous) white lie! If your qualifications aren’t enough for the position you apply for, just change the details a little bit. Normally, it’s enough to copy the requirements straight away from the job ad and add 3-5 years of experience in the chosen field. If you’re a career enterer, don’t forget to also change your date of birth accordingly. Also, if you’re lucky enough to have a brother who is a talented make-up artist, a new face-design probably helps a lot, too. Just don’t stick to closely to the movie - an attractive face is more likely to get you the job than the fat-suit and wrinkled mask of a scottish granny. 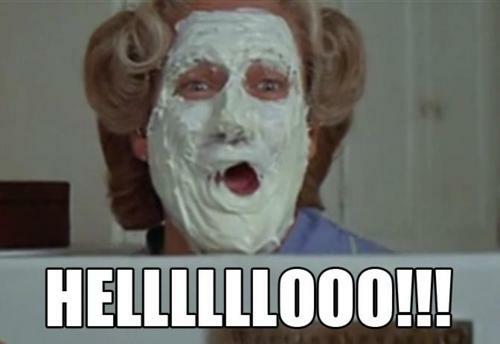 So, hopefully this blog made you watch Mrs. Doubtfire again, because there’s another lesson that you could learn from the movie. Maybe you know that Robin was also hired because there was almost no one else who applied. Do you remember why? Right: He altered the job ad to scare possible competitors away. Luckily, most companies nowadays publish their free positions online, so all you need to do is hack their website! Depending on your own hacking skills (guessing your own password right is not considered hacking), you might need help to bring their website, or at least the ad, down. In times of deep web and bitcoins an easy venture. In case, you found the ad online in our sports jobs, we politely ask you to refrain from hacking Sportyjob. True to the old adage „In the country of the blind the one-eyed man is king“, you only need to make sure that every other candidate is a worse choice than you are. „But that’s impossible!“, you say? It definitely isn’t. Just fill out hundredth of applications from made up people and send them over! You’ll rise and shine in between this big pile of s…pam like the holy messiah - a proven tactic well known in politics throughout the world.By the way, this hack works best in combination with Mrs Doubthire II. How experienced are you in dating strategies? You probably heard about the „3 days rule“ claiming that to not appear desperate, you need to wait three days to call your dating partner.Sounds reasonable, right? So, here’s how we do it to score your desired job: Personally submit your application in the HR department, tell them how great it was to meet them and promise to call them in 3 days. Wait three days. Don’t call. Call one day later. Even though they actually didn’t like you at the beginning, they do now and are probably sitting next to their phone, waiting urgently. Congratulations, you are now hired. 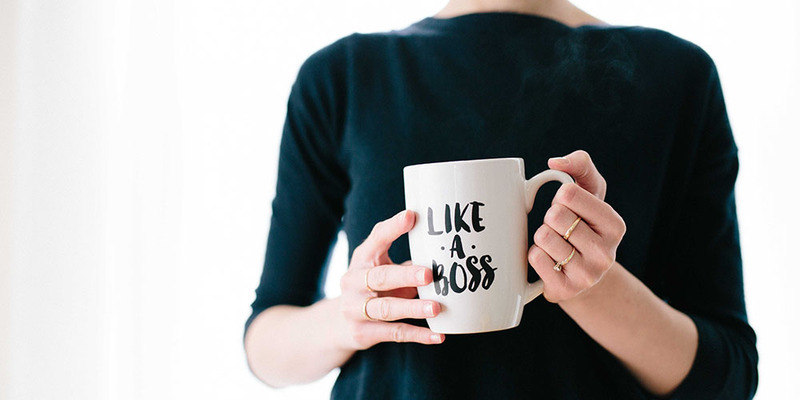 Last but not least, the most effective strategy to be hired even when you’re not qualified. It takes a lot of time and effort, but for the ones who desire their dream career more than anything else, this is the leading way to success. First of all, you have to found your own business in the same field as your employer with the same pear group. Put in all your energy and money to be successful until your are the leader of the industry. After that, steal all their clients and lure a big part of their team away by offering more benefits and a better work environment than they do. At the same time, start a dirty press campaign to discredit them so that all remaining clients and employees also leave. By now, the company should be almost ruined - your moment to be the savior. Apply for your dream career again and you’ll be hired. At least, for the last couple of years before you retire. In one of our earlier Blogs in 2013, we wrote that the „main subject of sport jobs in marketing is planning and execution of advertising-activities with the aim to sell products“. Wait, sounds like Sales after all! Well, we have to admit that this definition is a little outdated. Nevertheless, it’s an idea which is still stuck in many minds - something to get rid of to truly understand the varying characters of the two fields.Marketing is a strategical approach completely focused on the client. Through analysis, Marketing Manager define the peer group, its wants and needs. Understanding those helps the company to bend or turn to a direction which satisfies the segment long-term and thus, binding it to the brand. It might even define the complete identity and strategy of a company to fulfill the requirements (for products, the brand, customer service, logistics, communication, etc) of its clients continuously.Sales is a tactical approach completely focused on selling products. It’s the approach to convince clients on buying the existing products in stock to make the maximum profit. It focuses on the recent products and a turnover rate of maximum volume in a short-term. A good Sales employee needs to prove a client that the product is what will satisfy his needs - not the other way round. We said before that Sales is focused on the „now“, which is just a part of the truth. Of course, operational it is, strategically though, the department also works on the development of new clients and new markets - in the future. That’s where the two come together. You might even say that Sales are the result from good Marketing: It is responsible for providing necessary information and tools to help the turnover rate grow - by giving details on new ways to reach (new and more) customers, simply a Market Research. Interested in a job in Sales or Marketing in the sports business? 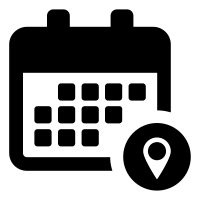 [jobs categories="Marketing, Marketing & Communications" show_filters="false"] If you are looking for another position or want to individualise the offers by location, keywords or type, please use our Job Search.